Commander with a Comedian – How do you spend your recess? Commandercast’s season break is coming up. And even though I will still be doing Rivals’ Duel with Nole during the break, I will have some time off where I wont be putting up bi-weekly articles about commander. In the spirit of the vacation, I will be suggesting some things that you can do if you also feel like taking a break from commander! BAHAHAHAHAHA!!!! Break from commander! That’s the funniest joke I’ve made all season! People have kicked drug habits easier than giving up this game. But sometimes you are forced to take a break for a few minutes. These are the unfortunate gaps that happen between commander games where a couple people have died but the game hasn’t yet finished. What I am actually suggesting today are a handful of games you can bring around your weekend edh-athons, so you have something to do to burn time between these games and avoid getting all Magic-ed out. Basically just sealed on speed, Pack Wars is a good way to get your money’s worth in fun out of a booster pack of cards. It’s also the first game on this list because it’s the easiest to get a hold of and play. 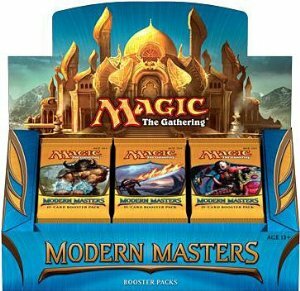 Just use your preferred rules set from online, pick up some boosters, and have them around for you and your friends to play with. Wham, bam, thank you Mr. Garfield. Indeed, the hardest part of setting up this game is resisting the urge to open the packs beforehand. That being said, the game does have a drawback in that you are still playing a variation of Magic. If you are looking to break up your commander games a bit, you can still feel Magic-fatigue by playing Pack Wars. This is why I think you should have a few packs ready if you get an inkling to play, but also strongly recommend you pick up one of the games suggested below. It’s basically “I really wanna sleep with the princess”, the game. 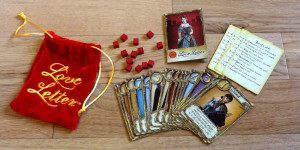 If you told a slightly younger me that I would fall in love with a Go Fish-style card game that was played with a sixteen card deck based on the conceit of trying to seduce a princess, I would probably have laughed in your face. And then immediately apologized, because gosh that would be awfully rude of me. That kind of behaviour is simply not acceptable. Anyway, love letter is an awesome game for two to four players that is built up of a number of rounds that last between thirty seconds and a minute, allowing you to easily fit in multiple matches while you’re waiting for some guy’s Ulamog to finally finish of the rest of the table. It can also be picked up in most game stores for about ten bucks, making it an amazing deal. But do grab some sleeves for it, because once you’re addicted you’ll be shuffling up and playing those cards a whole lot. Beware of hallucinations, sliming, and tentacles whilst playing this game. Gloom is much like EDH in that it is a multiplayer card game that involves tons of politics, backstabbing, and temporary alliances followed by a (Firefly fans, say it with me now) sudden but inevitable betrayal. Unlike in EDH, your goal in gloom is to die horribly after having lived a fruitless and depressing life. You backstab opponents in this game by cheering them up with things like puppies, parties, and true love. This game is easily the best way to mend fences and cool down the room after a particularly political game of commander. Also, it is funny as $#!^. Now, there is nothing wrong with picking up the O.G. game of gloom. 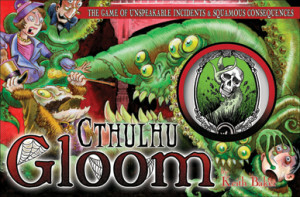 But if your going to the store anyway, why not grab Cthulhu Gloom instead? 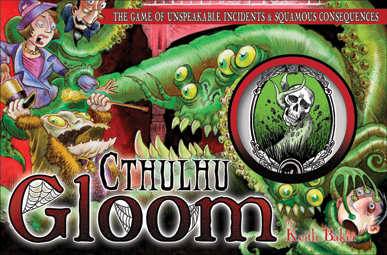 It’s the same as Gloom in most ways, except that you are swapping a depressing Victorian-England setting for the sanity-melting horrors of the elder gods. If I need to explain to you why this makes the game better, we probably can’t be friends. Dual wielding a hammer and chainsaw was an unorthodox style for the barbarian, but he made it work. Ever wonder what Dungeons and Dragons would be like if you took out 90% of the rules and replaced them with equal parts humour and awesome? It would look a lot like Munchkin, a game where every card flip can either lead to you winning by total chance or end with you facing down the terrifying plutonium dragon. Yes, that is an actual thing. 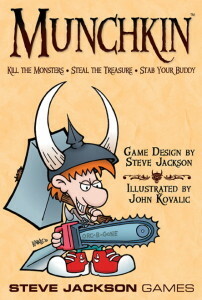 Munchkin is one of the best nerd party games around, if only because they have made so many versions of it. Like kung fu movies? There’s a Munchkin for that. How about Superheroes? There’s a version for that too. Horror? Westerns? Axe Cop? Check off all above boxes, they have made that version of the game. And they are all playable together. 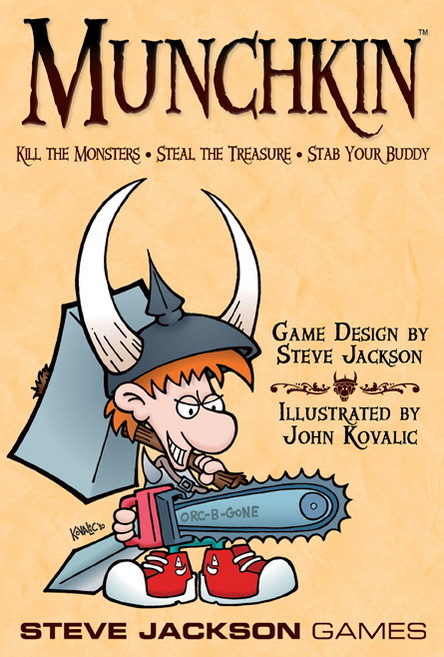 For my money, there is nothing like the dungeon crawl experience of the original Munchkin, but you can pick the version that best fits your playgroup. Then you can proceed to kill all the people, steal all the things, and run away cackling like a mad man. Just remember though, you have to play EDH with these people after. Don’t paint too big a target on your forehead. Prepare for invertebrate warfare, soldier! I am closing out this list with the only video game I’m going to put on it. Worms is the age old game of leading your hilariously voiced bird-food into cartoonish battle against your opponent’s own menagerie of fish-bait. 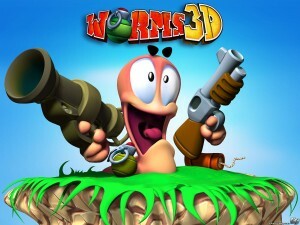 If you have never played any version of worms before, go do so right now. You can thank me later. Worms gets EDH-break approved for this list for two big reasons. The first is that matches are very quick, rarely requiring more than a few minutes. The second is that the game requires no real special or expensive equipment. It’s available on almost any platform (console, laptop, tablet, iphone, I’m pretty sure I saw it running on a calculator once…) and the “pass the controller” style multiplayer means everyone can play on one device. Add in a inexpensive price tag and a healthy amount of great humour and absurd violence, and this game can easily find a niche at most kitchen tables. Plus, If someone beats you in an EDH game, it’s pretty damn cathartic to throw a holy hand grenade into their face after. Just saying. Eric is going to be spending his commandercast vacation behind enemy lines in a horrid POW camp. But he will still be recording Rivals’ Duel, because contractual obligations and stuff. Reach him on twitter @ThatBonvieGuy or at EricBonvie@gmail.com.